THE FOLLOWING IS THE STORYLINE OF THE STAR WARS ERA INSIDE THE VIDEO GAME (FORCE WARS THE UNTOLD STORY) ABOUT THE INFINITE EMPIRE. The Rakata conquered a number of worlds in the region that was later known as the Core Worlds, including the planet Coruscant, which was home to the Human species. Despite their enslavement by the Rakata, however, the Humans experimented with sleeper ships around 27,500 BBY, seeding a number of planets in the Core Worlds and the Tion Cluster however the Rakata Managed easly to take Controll of Coruscant and make it their Thrid Capital Planet where Slavery,Casinos,Banks and Droid Army Factories were Installed. At its zenith, the Infinite Empire linked over five hundred Force-rich worlds all across the galaxy. Their extensive civilization was spread across countless star systems and was much larger than later-era empires. Through the use of dark side-fueled technologies such as Force-powered hyperdrive, the Builders' Infinite Empire dominated known space for thousands of years. Many of the most prominent worlds of the galaxy were included in this empire, such as, Corellia, Honoghr, Generis, Hijarna, Xo, and Dantooine falling under their dominion. However, their hyperdrives could only visit worlds possessing strong force signatures, resulting in huge voids in between their conquered worlds. The haphazard nature of their empire allowed for numerous other civilizations to flourish, and loose confederacies of other civilizations managed to develop in the spaces between Rakatan worlds through the use of dangerous as well as unpredictable hyperdrive technology. At its height, the Empire's population numbered ten billion Rakatan warriors and one trillion slaves. Among its conquests were the Selkath of Manaan, Wookiees of Kashyyyk, Kumumgah of Tatooine, Noghri of Honoghr, Humans of Coruscant, and the natives of the Corellian sector. Furthermore, they made use of Coruscanti workers and Corellian slaves to create weapons of colossal scale. The forest world of Kashyyyk was one world captured by the Empire, and the Rakata installed a terraforming computer on the planet to manipulate Kashyyyk's wroshyr trees. However, the computer lost contact with the Rakata in 33,598 BBY, and over two hundred years later it malfunctioned, causing a hyper-acceleration in the growth of the wroshyrs. The first prisoner of Belsavis—and the reason the prison was constructed—was the World Razer, a mysterious being whose hunger supposedly consumed a thousand worlds. According to inscriptions in the Tomb, which was the Galactic Republic's term for the primary Rakatan prison complex, it took the entire Infinite Empire to subdue the World Razer. At some unknown point, the Infinite Empire came under threat from a marauding horde of aliens known as the Esh-kha. These aliens raided world after world where they destroyed their inhabitants before continuing their campaign. Such actions led to the loss of several Rakatan slave worlds to the Esh-kha before the Infinite Empire assembled its military might to challenge this threat. 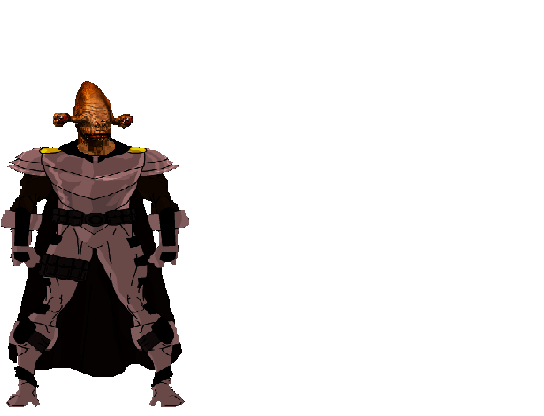 The Rakata hated the Esh-kha and referred to them as a plague on the galaxy due to their actions. The resultant conflict engulfed the entire galaxy and led to the near extinction of the Esh-kha. Only a hundred thousand survivors lived by the time the Infinite Empire won the war with these remaining Esh-kha being imprisoned on Belsavis where they were placed in stasis. The technology preserved the species but left them conscious with the Rakata believing that such a punishment would teach the Esh-kha the error of their ways. 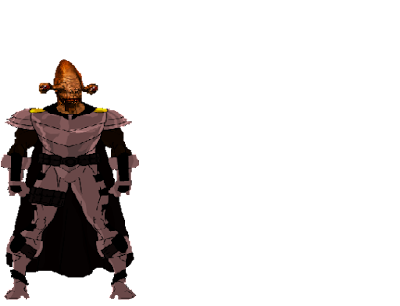 The reputation of the Esh-kha led to the Infinite Empire even imprisoning Hallow Voice and his peaceful Esh-kha followers on Belsavis. The great victory achieved by the Infinite Empire led to the Rakata creating a monument on the planet Hoth that contained an interactive hologram that spoke of their victory over the Esh-kha. However Cied Brute and other Esh kha managed to Escape the Gigantic Prison of Belsavis and Create a Rebelion Center in Kashyyyk System. a Rakata called Soa formed his own empire that was based at Korriban that served as his throne. Soa became known as the Infernal One. and Took Full Control of Coruscant. The Infinite Empire had no choice than to Ally with Soa and gived him the Controll of Coruscant in the name of the Infinite Empire. Soa managed to Defeat the Space Pirates and the Anarchists in Coruscant. But The Pirates were not all Defeated when The Pirates Lost Vendor 3 and their Leader Sert Died, The 4th Pirate Leader Kim Escaped with 300 Pirates and went to the Unkown Planet Dagobah where she Found Allies and Launched an Attack over The Infite Empire. After General Cammenos Death the Infinite Empire forced The Rakatan warlord Soa, to return the Controll of Coruscant and he was ultimately imprisoned on Belsavis in what became known as the Eternity Vault. Αναρτήθηκε από Deniskam στις 4:31 μ.μ.